Dane is an artist and graphic designer. Ashlie is a creative copywriter and crafter. 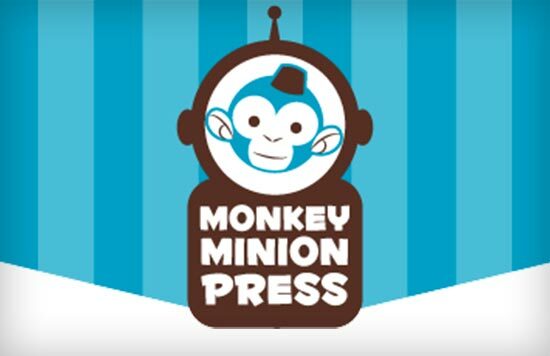 Together, as Monkey Minion Press, they produce art prints, T-shirts, greeting cards, kids’ books, and much more. 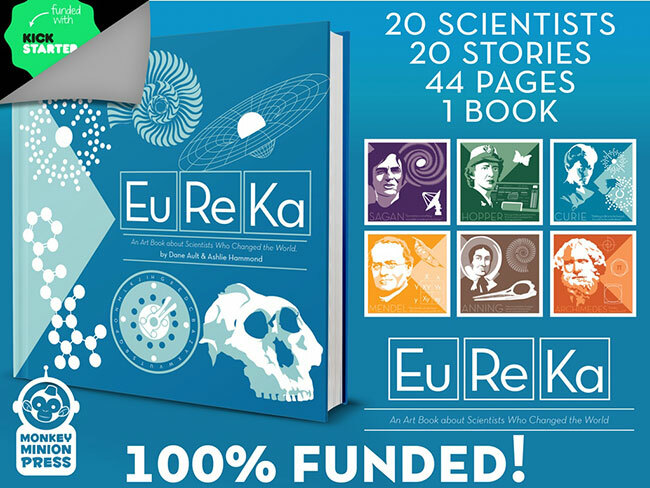 As of this writing, Monkey Minion is in the final days of their first Kickstarter campaign, for their book Eureka! The Art of Science. Eureka has already blown past their initial funding goal of $8,500, and will close at more than $32,000. The book is devoted to telling the stories of some of history’s greatest scientists and their works, featuring illustrations of each featured scientist. Kickstarter highlighted Eureka as an editor’s pick, and in their subscriber email as a “Project We Love”. Obviously the book hit a nerve with the crowdfunding community, considering the runaway success of the project. 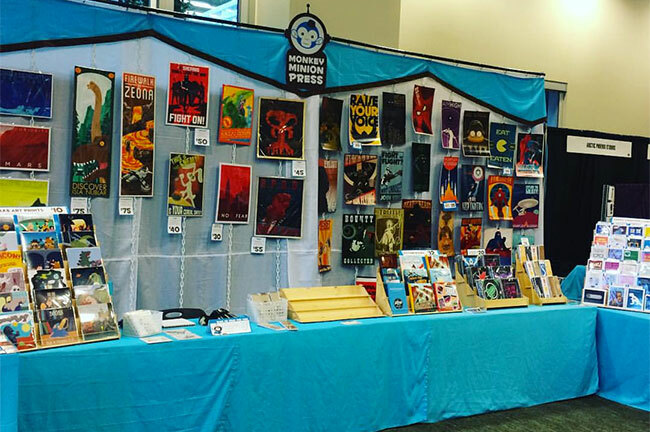 We talk with Ashlie and Dane about how Monkey Minion Press got started, how they both quit their day jobs to run their business full-time, and life on the road exhibiting at a ton of conventions every year. And, of course, we discuss Eureka, and what went into the creation of a very successful Kickstarter campaign.